#1 UNDERSTAND WHO YOUR PROSPECTIVE PATIENTS ARE AND WHAT THEY WANT. Availability during evenings and weekends (when primary care physician offices are closed). Convenience of non‐scheduled walk‐in service (to accommodate on‐the‐go lifestyles). Accessibility to home, school, or work (resulting in a short drive time to the center). Affordability (lower out‐of‐pocket cost than emergency rooms). Patient needs may further include short wait times, confidence that a physician is board certified, a warm and inviting clinical environment, and a friendly and empathetic staff. The best way to understand the needs of prospective patients is to ask—market research involves surveying, interviewing, or conducting focus groups to gain insights as to how patients utilize health care services, challenges they currently experience, and improvements they would like to see. Beginning Monday, 6-7. Urgent Care Marketing will be posting the 1st of a 10 part series titled “Ten Activities for Marketing Your Urgent Care Center” authored by Alan A. Ayers, MBA, MAcc Content Advisor, Urgent Care Association of America, Vice President of Strategy and Execution, Concentra Urgent Care. A great marketing tool for Urgent Care Centers, Walk-in Clinics, Immediate Care and Ambulatory Facilities. Urgent Care Centers nationwide now have a new source for increasing their business profitability. The Urgent Care Marketing group is an all star team of Urgent Care experts in the fields of public relations, marketing, graphic design, video production, advertising, and social media. The Urgent Care Marketing group has a proven track record of increasing business for urgent care centers. Many of our experts have been presenters for the Urgent Care Association of America. Stuart, FL (PRWEB) June 4, 2010 — The nation’s nearly 9,000 urgent care center owners and operators now have a new single source of marketing, public relations, internet, video, and design services with the announcement of the web-based resource www.UrgentCareMarketing.com. Founded as a consortium of leading marketing, public relations, internet, graphic design, and video production experts to the Urgent Care Industry, the site is a one-stop-shop for urgent care providers. The announcement of the formation of the Urgent Care Marketing group comes as the Urgent Care Association of America held its annual convention in Orlando, Florida. “Every year during the annual meeting of the Urgent Care Association of America, the need for urgent care focused marketing is forefront on the agenda of the owners and operators of urgent care centers,” said Sam Yates, Urgent Care Marketing spokesperson. “Now urgent care owners, whether they are individual physicians, group practices, or hospital owned, have a marketing source that speaks their language and delivers results,” added Yates. Yates, who has been a presenter at the Urgent Care Association of America conferences and supplies public relations and marketing services to select practices throughout the United States, saw the need for a specialty group to supply service to one of the fastest growing industries in America. “There is no doubt that urgent care is a growth industry. That means successful urgent care center operators will have to be more competitive in their overall marketing efforts. We have assembled a team of experts to supply them the tools needed for more profitability,” Yates concluded. The group of Urgent Care Marketing professionals will provide access to web design, brochures, marketing videos, direct mail, advertising, public relations, and a full range of marketing activities. 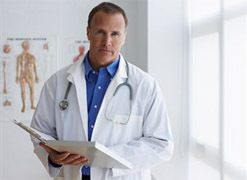 To learn more about the services created specifically for the Urgent Care Industry, visit www.UrgentCareMarketing.com. You may also call (772) 463-8152 or send inquiries to Urgent Care Marketing, 506 South Federal Highway, Stuart, Florida, 34994.